Win a £50 rrp Hamper in our Sunnies Funnies Competition! Our Sunny Funnies Competition is Here! Have a funny summer photo or video of your pet?! Enter our competition by heading to our pinned post on Facebook, or alternatively post on Twitter or Instagram using the hashtag #sunnyfunnies for a chance to WIN in our summer competition! 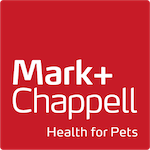 This summer we are again giving away a £50 rrp Mark + Chappell product hamper to one lucky winner, with two £20 hampers as runners-up prizes. 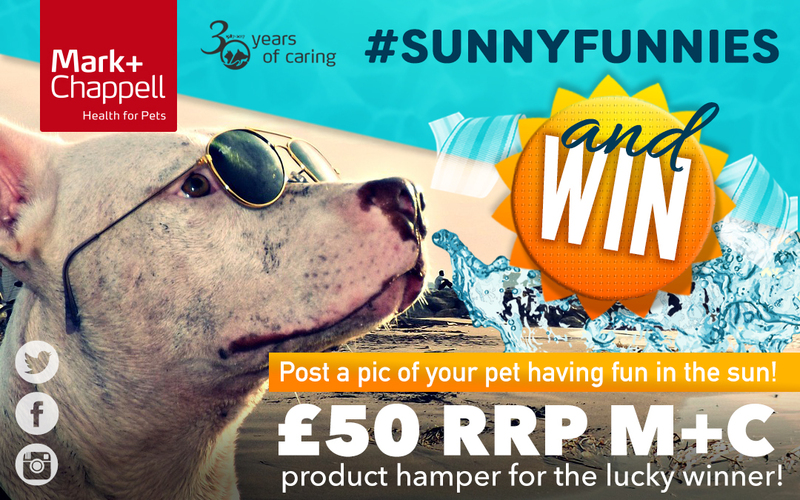 We love to see pictures and videos of your lovely pets, enjoying the summer, so join the fun and enter our ‘Sunny Funnies’ competition! The competition will run for three weeks, with the winning entries selected as Mark + Chappell’s favourites from all entries across Facebook, Twitter and Instagram on Thu 23 Aug.
• The ‘Sunny Funnies’ competition runs across Facebook, Twitter and Instagram, with three prizes in total. • There is one prize of a £50 rrp Mark & Chappell product hamper and two prizes of £20 rrp Mark & Chappell product hampers. • Open to UK and ROI residents aged 16 and over, excluding employees of Mark + Chappell. • Closing date for entries is 11.59pm on Wed 22 Aug. The winners will be announced through Facebook, Twitter or Instagram channels on Thu 23 Aug. Alternative winners will be selected, if we do not receive a response within 7 days. • Entrants leave a comment (Facebook) or post using the hashtag #sunnyfunnies with a photo or video of their pet. • There is no restriction on the number of entries per person. • The winning posts will be selected by Mark + Chappell and will be judged by their favourite photo or video. Mark + Chappell reserves the right to change the winner selection method, at it’s sole discretion. • The promoter of this competition is Mark + Chappell. This promotion is in no way sponsored, endorsed, administered by, or associated with Facebook, Twitter or Instagram. • By entering this contest, you agree to a complete release of Facebook, Twitter or Instagram from any or all liability in connection with this contest. • By participating, entrants confirm they have read, understood and agree to be bound by these terms and conditions.